Join Southwest Seminars October 6, 9-4 pm for a special private cultural experience at Ohkay Owingeh Pueblo (‘Place of the Strong People’). Our morning will be at the home of Norma and Hutch Naranjo, farmers who plant and raise organically their own crops much as their Ancestor did. We will enjoy an intimate and informative culinary class and demonstration in Pueblo feasting traditions in this historic Tewa village followed by a bountiful mid-day Feast Meal. In the afternoon we will take a guided tour of the award-winning Owe’neh Bupingeh Preservation Project with longtime Executive Director Tomasita Duran and learn how Tewa culture is strengthened rebirth of the Pueblo’s sacred core. Sensitivity to both past and future cultural traditions is critical within this ancient community center, believed to be more than 700 years old and which is listed on the National Register of Historic Places in recognition of its cultural and historic significance. Includes: Cooking class and Feast Meal with Norma Naranjo, guided tour with Tomasita Duran and donation to Owe’neh Bupingeh Preservation Project. $150 per person. 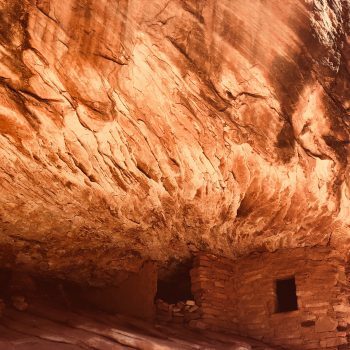 For centuries the Hopi, Zuni, Ute and Navajo lived among the sandstone canyons, hunted in mountain meadows, worshipped on the mesas and built villages beside the rivers in Bears Ears National Monument. 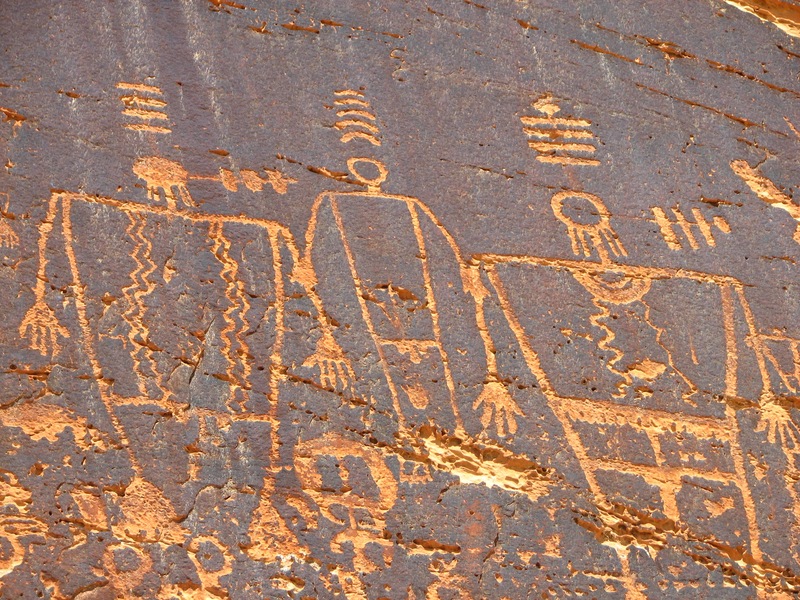 The region is packed with rock art, ancient burial sites, cliff dwellings and other artifacts. It is one of the most significant cultural landscapes in the United States. Join Southwest Seminars for a float down the mighty San Juan River, a legendary cultural resource in the heart of the Four Corners region. We spend our first day together exploring sites located in Southern Bears Ears region in 4WD vans, including hiking to House on Fire Ruins in the morning and Arch Canyon Complex and the Cave Tower Ruins in the afternoon. Our river trip begins at Montezuma Creek upstream from Bluff, Utah, and ends at Mexican Hat. This scenic stretch of the river is especially noted for its Ancestral Pueblo ruins and Basketmaker rock art panels, many of which are only accessible from the river. 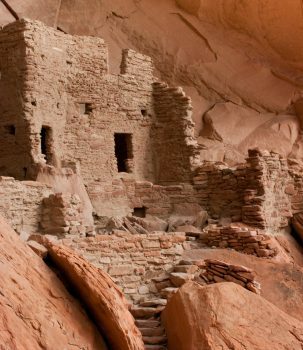 Highlights include the Citadel, a fortress-like pueblo with a commanding view over the river and landscape; Sixteen-Room House, a long impressive cliff dwelling perched on a ledge in a huge alcove; Desecration Panel, a quarter-mile long series of petroglyphs; River House, an alcove pueblo believed to be ancestral to the Hopi Snake Clan; and a hike up Chinle Wash to Floating House and its colorful pictographs. We will float through the fabulous Upper Canyon of the San Juan with its stunning geologic formations and a stop to see marine fossils. Shortly before our river trip ends, we will pass the amazing balanced rock known as the Mexican Hat, which is near our river take-out. The itinerary and stops may change according to river and weather conditions. In historical Bluff, Utah David gives an informative welcome lecture followed by dinner together. 6-night program includes full day land excursion via 4WD then 4-days floating the San River between Montezuma Creek to Mexican Hat, Utah. Camp along the river for 3-nights learning about the cultural history and archaeology of the region from David and our river guides. This study tour is book-ended by charming lodging at the Desert Rose Inn (2 nights before and one night after the river trip). All meals, honorarium for our exceptional Study Leader and river guides, all fees for permits and services. Bring your own camping gear or for $30 more our outfitter will provide a sleeping kit (tent, pad, sleeping bag). $2300 Double Occupancy, $2450 Single Occupancy. Eighteen giant caldera “supervolcanoes”erupted in SW Colorado between 30-25 million years ago forming much of the modern San Juan Mountains. These eruptions left craters several miles in diameter including the largest known eruption in Earth’s history, the La Garita Caldera, erupting 5,000 cubic kilometers of magma 28 million years ago. 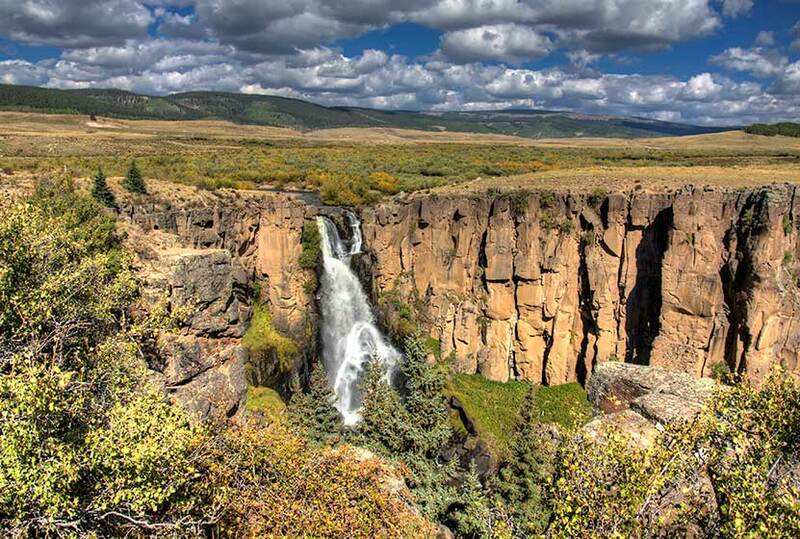 Join Southwest Seminars and our world traveling vulcanologist, Dr. Kirt Kempter, for a 4-day geologic exploration of the Creede, Lake City, and Pagosa Springs region of Southern Colorado, where four of these massive supervolcanoes eruptions occurred. Traveling west across the majestic San Luis Basin, we learn about the northern Rio Grande rift and the Ice Age history of Lake Alamosa. Along the way hike along the west rim of the legendary Taos Rio Grande Gorge. Arriving at our destination in the afternoon we begin to appreciate the area’s fascinating human history, including early hunter/gatherers, later Ancestral Puebloans, Utes, Spanish explorers, legendary Mountain men fur trappers, intrepid pioneers, tenacious miners, and outlaws, all of whom managed to leave an indelible presence in the lands through which we travel. Enjoy relaxing 3-nights at the Antlers Rio Grande Lodge, a destination resort located in the San Juan Mountains outside Creede features charming cabins and river front view fine dining on the banks of the upper Rio Grande. Celebrate with a festive dinner at the popular Antlers Riverside Restaurant. Dr. Kempter sets the geologic stage in his La Garita Caldera lecture to describe the massive eruption. We begin our field explorations among the golden aspens of the San Juan Mountains on a tour along the famed and scenic Bachelor Loop while learning about the geology of the historic Creede Mining District. 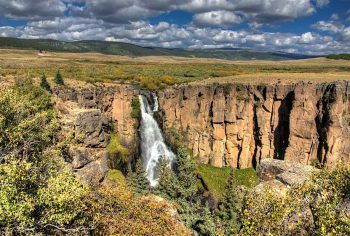 In the afternoon we visit, North Clear Creek Falls, a famous waterfall 100+ foot waterfall carved into the Colorado landscape and one of the most famous in the Rocky Mountain State. Later, enjoy free time in charming downtown Creede before dinner. 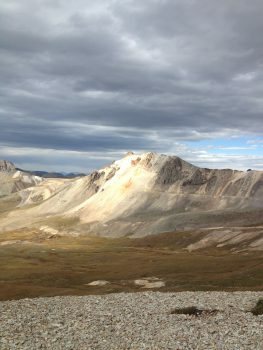 Next day we travel northwest to Lake City, one of the most isolated 19th century mining camps and see the Lake City Caldera, the youngest of the calderas in the central San Juan Mountains. We spend the morning 4×4-ing through the legendary Alpine Loop one of the most photographed areas in the Colorado Rockies The Alpine Loop is a National Historic Byway that traverses Cinnamon and Engineer Pass, both reaching over 12,000 feet. At its peak, the road takes you to a breathtaking 12,980 feet. As the highest road in the United States the “Loop” is a beautiful way to see the Rockies. Along the way we wander through ghost towns, see geologic and historic highpoints and stunning natural beauty. Returning home we travel by geologic sites of interest including the famous Slumgullion Landslide before returning to our lodge for a festive dinner together at Antlers. Return to Santa Fe via scenic Piedra Lumbre Valley thru Pagosa Springs where we learn the geothermal history of the Great Pagosa Hot Springs, an important Ute cultural site. We’ll soak in the mineral waters at Pagosa Springs Resort and Spa, an elegant, multi-pool experience before lunch. 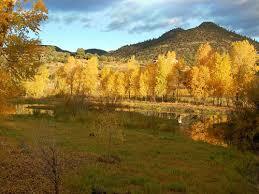 Passing through scenic Southern Colorado and NM countryside we arrive in Santa Fe before dinner. 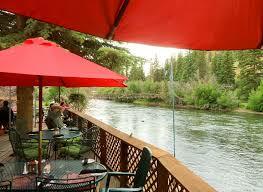 4-day, 3-night program lodging at famed Antlers Rio Grande Lodge. Includes all meals, honoraria, spa admissions. Easy hiking. The last 15 years have seen a dramatic increase in archae­ological understanding of precontact migration and the Salado “phenomenon” in the American Southwest. Join Drs. William Doelle and Jeffery Clark of Archaeology Southwest and other esteemed researchers at the fore­front of these recent investigations for a tour of southern and central Arizona, where you will explore the effects of this “clash” of Hohokam and Ancestral Pueblo ideologies. Within the adobe and cobble mound ruins of south­ern Arizona lies evidence for the struggle between two native religions with very different origins and organiza­tions. 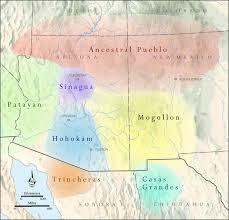 One religion, with platform mounds as an integral part, developed in the densely populated Phoenix Basin, the center of the Hohokam archaeological culture. Another religion, at least partially expressed through symbols on Salado polychrome bowls and jars, devel­oped within Ancestral Pueblo immigrant communities, and was rapidly adopted by many locals.This tour will visit sites where both religions devel­oped, including large platform mound villages in the Phoenix area and Ancestral Pueblo enclaves in south­eastern Arizona. We will explore contested areas where the two religions overlapped, especially the well-pre­served and scenic San Pedro valley. 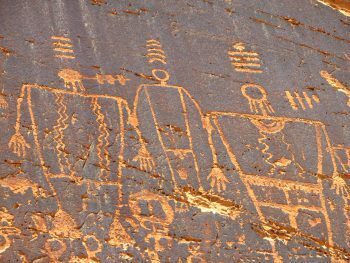 Hopi anthropologist and educator Lyle J. Balenquah will give tour participants an additional perspective of the voice of the Kayenta immigrants throughout the tour. You will also visit special museum collections that have been pivotal to new research. Immersive site tours will be led by local archaeological experts and members of descendant Native American communities who will provide alternative views sure to lead to lively discussions. Dr. Jeffery J. Clark has more than 30 years of archaeologi­cal experience, working extensively in Southwest Asia and the North American Southwest. His research interest is as­sessing the scale and impact of human migration, focusing on the late precontact Salado Phenomenon. Dr. William H. Doelle has more than 30 years of experience as a professional archaeologist. He has worked extensively in Mexico, Guatemala, and the North American Southwest. His primary research interest is the demographic history of the Greater Southwest. He is the founder and president of Archaeology Southwest. Lyle J. Balenquah, Hopi, is a member of the Greasewood Clan from the Village of Bacavi on Third Mesa. He has earned Bachelor’s (1999) and Master’s (2002) degrees in Anthropology from Northern Arizona University. For over 15 years he has worked throughout the American South­west as an archaeologist documenting ancestral Hopi set­tlements and lifeways. Tour begins and ends in Phoenix and includes 6 nights lodging in comfortable hotels, all meals, transportation study leader honorariums and admissions. $200 of the tuition is a tax deductable gift to Archaeology Southwest and Southwest Seminars. Contact Southwest Seminars for registration information. $2,395 Double Occupancy, $400 for a Private Room.